There are lots of ways to visualise data. A table is used to write down a number of pieces of data about different things. 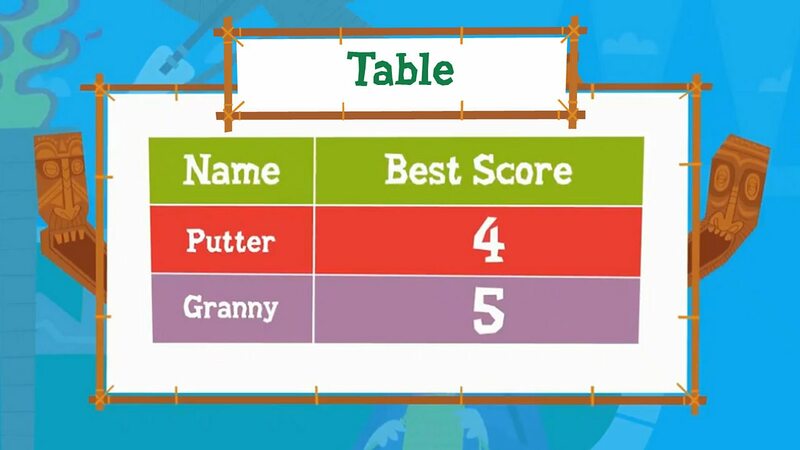 This table shows each player's best score. In this pictogram, the number of times each player has won is represented by pictures of trophies. 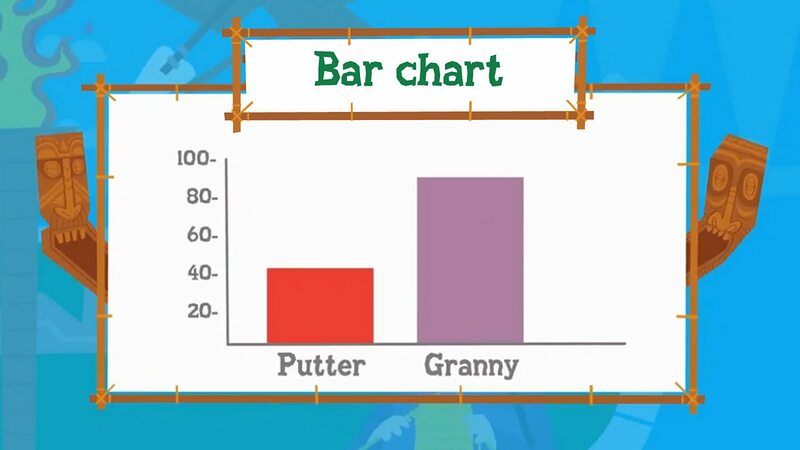 The heights of the bars in this bar chart show Putter and Granny's ages. The Venn diagram shows both players' hobbies. 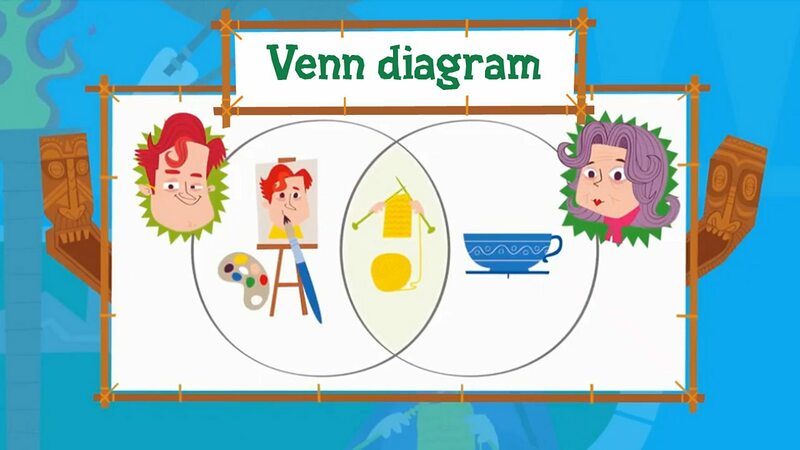 The part where the circles overlap shows what both players like to do - knit! How do you use simple data tables?